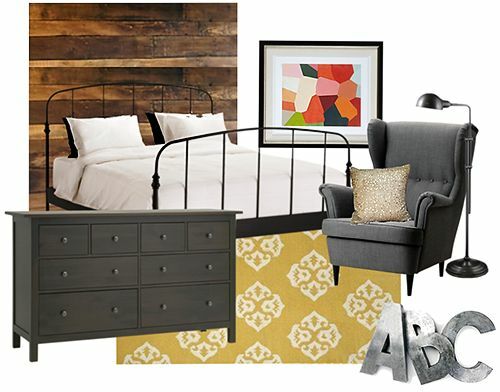 If the previous article has given you a desire to make-over your bedroom in this trendy style, here are 11 ideas in 18 examples of how to make this look work in the bedroom that combines modern with rustic materials to help get your creative juices flowing! By combining the best of both, modern/rustic imparts an almost industrial style and combines with vintage pieces, interesting prints and the texture of wood to bring everything together to create a surprisingly pleasing ambiance with your own, unique signature! A peaceful, little oasis in relaxing, neutral tones with wood furnishings to accent the serenity of the room. 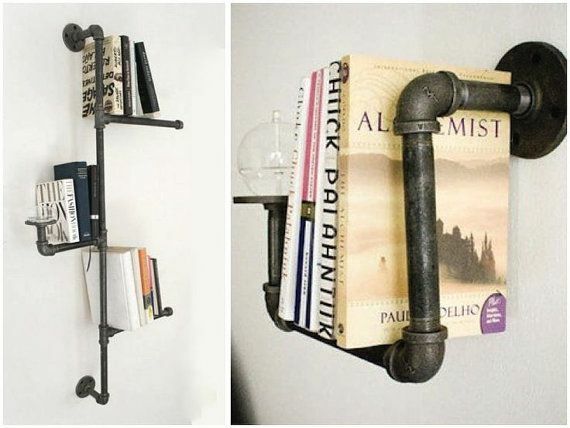 Ingenious, inexpensive idea with lots of style! 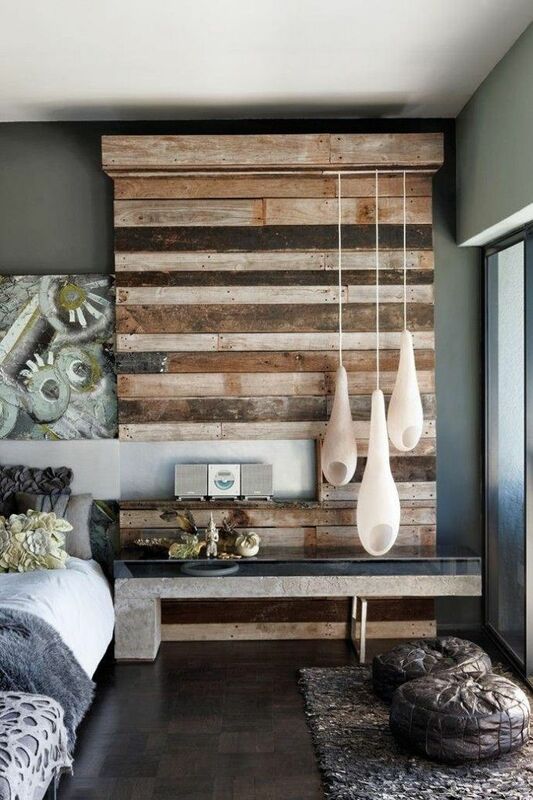 If you want to create a relaxing environment in the bedroom with modern/rustic style all you need to start with is a pale backdrop to which you can add interesting decorative touches in the industrial style and wood accent pieces such as furnishings to create the desired look. 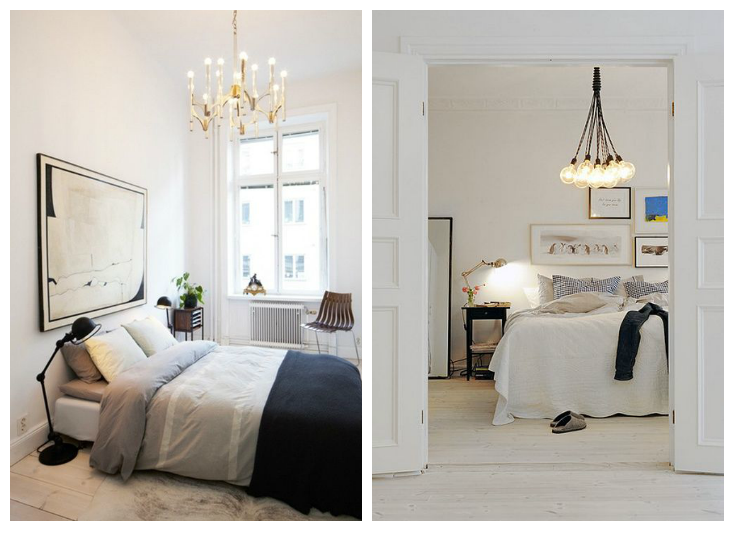 The choice of lighting is of utmost importance for the bedroom. First, a diffused light is the best if you want to create a calm and relaxing atmosphere. Second, lighting is one of the first things to buy when re-decorating the bedroom because it will be simpler that way and all else will follow. 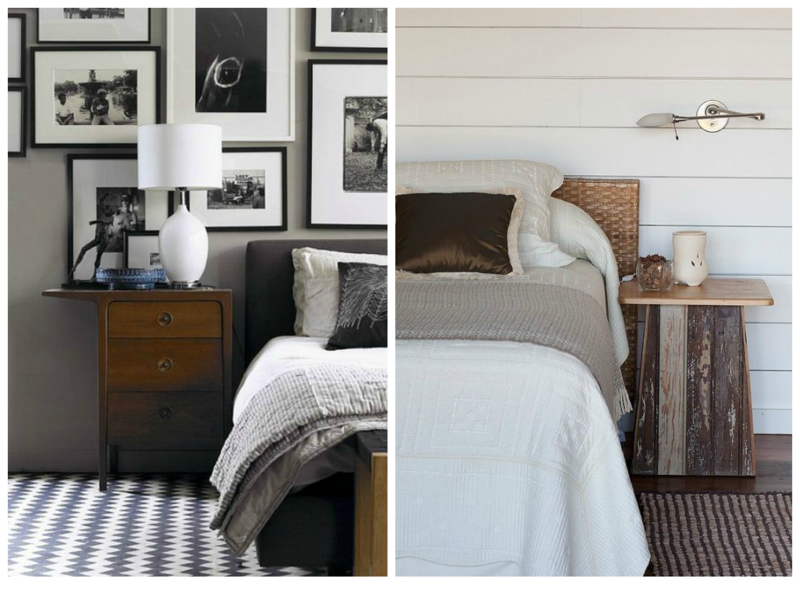 Here are two lovely ideas that enhance the modern/rustic feel. 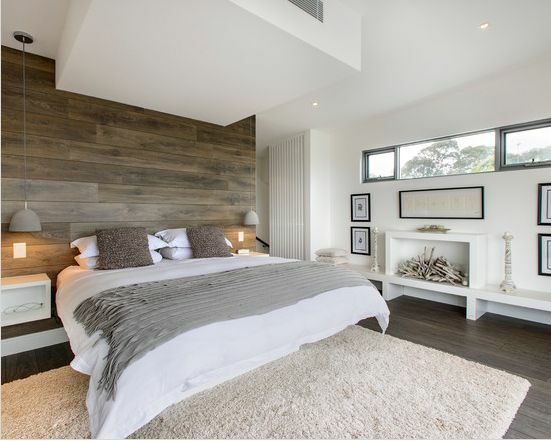 This picture shows complete harmony between the two styles as it takes a modern style of the predominantly white bedroom and warms it up with wood accents on the wall and subtle accents. 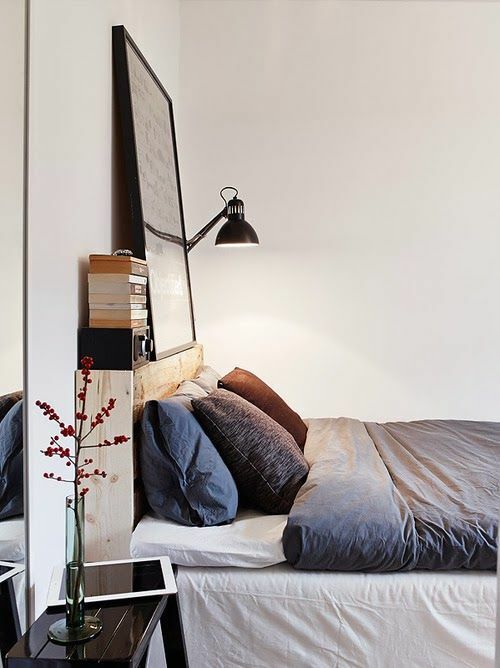 The task lighting over the night stands has a definite industrial feel to flawlessly completes the look and tie everything together. If you’re not sure where to start and you don’t have the desire or the budget to go all out why not check out these two night stands. Each offers a different approach but the main thing to remember is the wood and their small size are what give them their modern/rustic appeal. A cozy little place to snuggle up and read is always a nice addition, no matter to which bedroom. 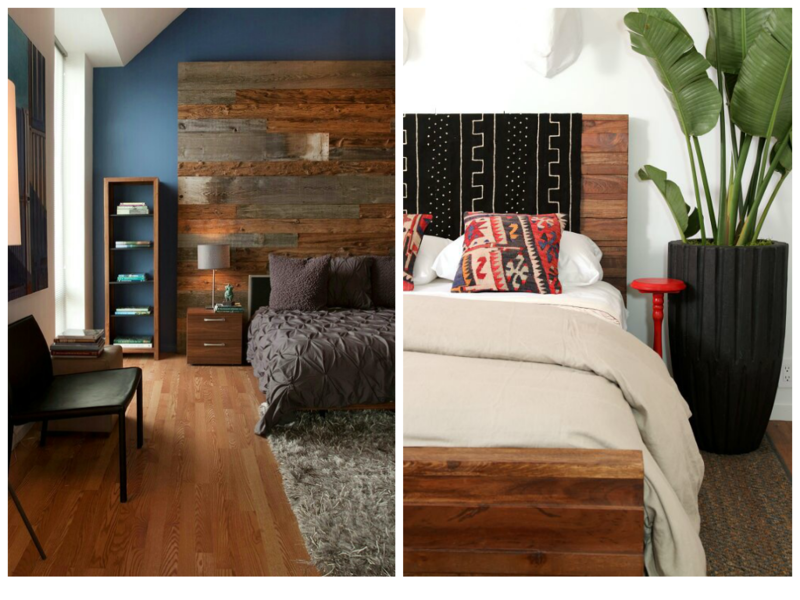 These two pictures show how the different materials and colors come together to give the room its modern/rustic feel. Textured wallpaper is often used to give the rustic feel to the room and it’s the furnishings that take care of the modern part! How about brick in the bedroom? Well designed. They say that the bedroom is the most important room because that is where you get all your sleep and rest. It is important to feel cozy and at home there.